If the clothes are dirtied and in spite of washing them the (dirt) mark remains, then is it allowed to offer Salaat in such clothes? If any person offers Salaat with a dirty garment (najis) then what should he/she do? The dirtiness (najasat) which remains on the garment is Obvious Dirtiness. (Najasat Maree) The rule about such dirtiness is that the garment should be washed till the dirtiness is removed. Irrespective of the number of times it has to be washed; whether it takes a single wash, 3 washes or more than three. 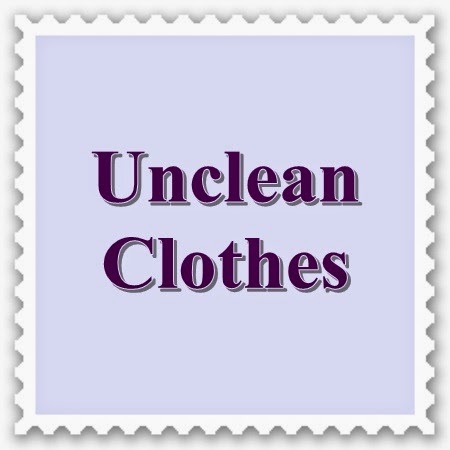 If the dirtiness has entered the garment in such a way that its marks cannot be removed only with water, then the dirtiness itself and the removable part of it ought to be removed. Fatawa Alamgiri says (Translation), Obvious Dirtiness is such dirtiness which when removed, the dirtiness itself and its marks are obliterated and this regardless of the number of washes. If it takes one wash then it is enough. If 3 washes are also not enough; then it should be washed till the dirtiness is done away with. If the dirtiness is such that it takes effort to obliterate it i.e. something other than water is to be used to remove it, like soap then removing it is not compulsory. In the same way, washing with hot water is also not compulsory. In the light of the above mentioned guidelines, we can say that if, even after washing, there are some marks of dirtiness on the cloth, then technically the garment is pure (paak). Offering Salaat in such clothes is permitted and correct.